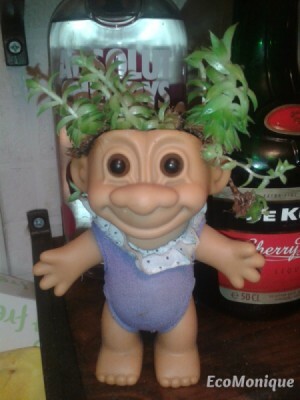 You can remove the hair from a troll doll, fill the head with compost, and plant some small succulent cuttings. This project is about making a succulent troll planter. I saw this tip in a magazine. 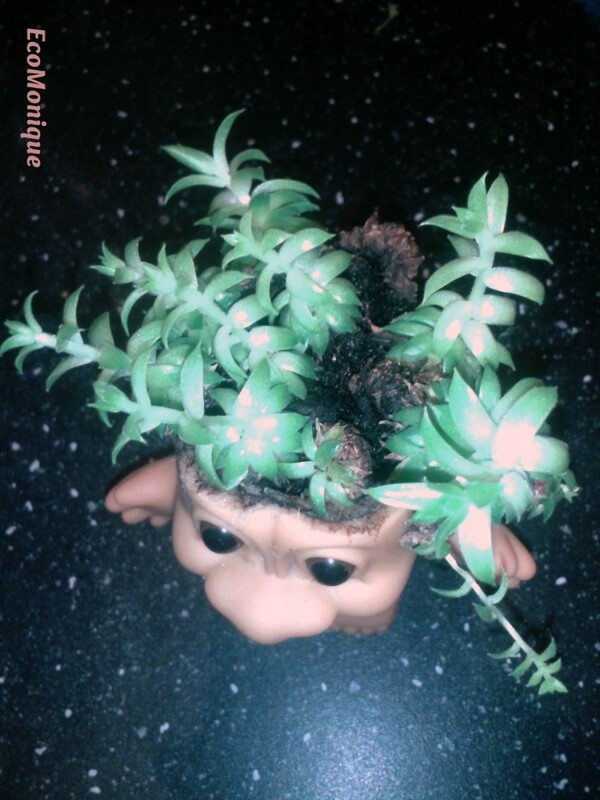 I bought my lovely troll on eBay then followed the instructions to plant succulents in her head. A good pull removed the ball of her hair to begin with. Then I packed the head area with some compost. Then taking some offcuts from my succulent plants I inserted them in her head for hair. I watered them frequently over the winter time and she is now blooming. The plants took very well and her 'head of hair' seems shiny and healthy! She may be a little long in the tooth but doesn't she look fab for her age?